Summer seem to have made a return to Melbourne today and I was inspired to make this salad with vibrant colours of summer and aroma of fresh herbs. Toast cous cous in a saucepan over moderate heat for 5 minutes. Add water and bayleaf. Bring to boil. Then simmer at a very low heat covered. Cook for about 8 minutes. Turn off heat and leave cous cous to rest and cool. To make dressing, put lemon juice, mustard and raisins in a jar and shake. Pour dressing over cous cous, mix and leave to rest whilst you prepare the salad items. Mix cous cous and salad items and serve. We are still in summer even though people are back at work or school. These burgers are great for BBQs or quick lunches when you’re in between pool time. The sundried tomatoes, basil and chilli flavors brings a punch of flavor mellowed by the sweetness of the potato. And I love the crispy crunch of a burger that has been cooked with patience. I often use these burgers in a buddha bowl (you know I love my buddha bowls). If you do use it in a bun, I suggest using an olive tapanade as a spread, then loading it up with crisp lettuce and sweet juicy tomatoes slices. Sautee onion, garlic, mushrooms, sundried tomatoes and chilli in a pan until onion is translucent and mushrooms cooked. Place all ingredients in a food processor, except for sauteed ingredients and spring onion. Process until a smooth paste. Add sauteed ingredients and spring onions and pulse several times. Shape mix into burger patties. Makes four. Pan fry on low heat until brown on each side. 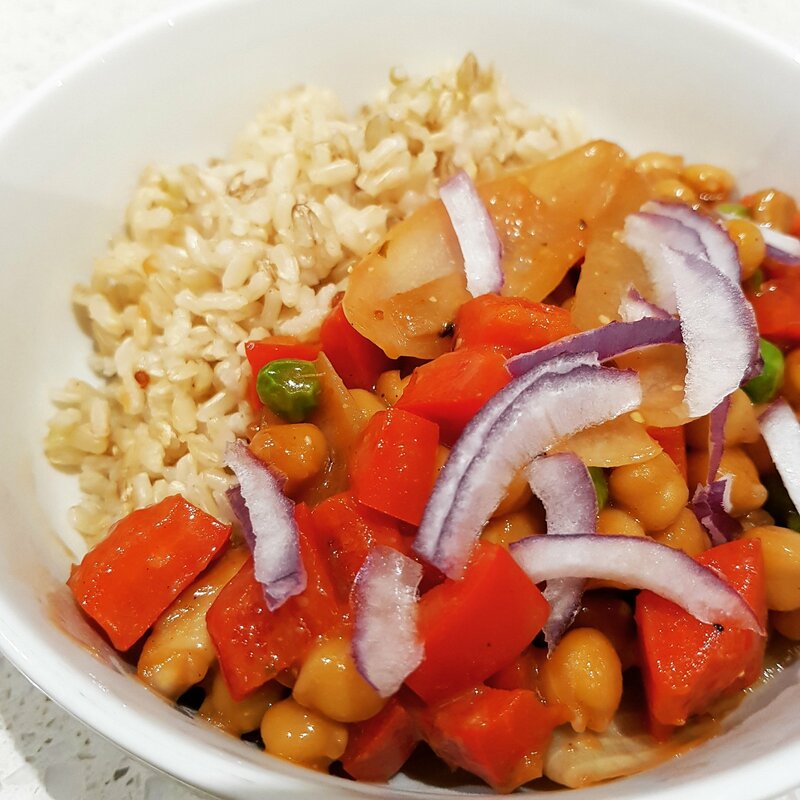 Many of you know that buddha bowls are my favourite. It’s a great way to add a wide diversity of nutrients in one meal, and the ability to choose your own toppings makes it a great party option to cater to individuals with different food intolerances. Today’s buddha bowl topping is orange chilli tofu, inspired by a friend who introduced me to Korean chilli paste. Wrap the tofu in clean towels and rest something heavy (e.g., chopping board, pot) on top of it for 15 minutes. This will drain the tofu of some of its water. In a bowl, mix the orange juice, chilli, tomato sauce and sweetener. Sautee onion in 2 tablespoons of water in a non-stick pan until it has softened. Add garlic and tofu and sautee for 10 minutes. Add the orange chilli mix you have prepared and cook the tofu some more until the sauce has reduced to a consistency you like. 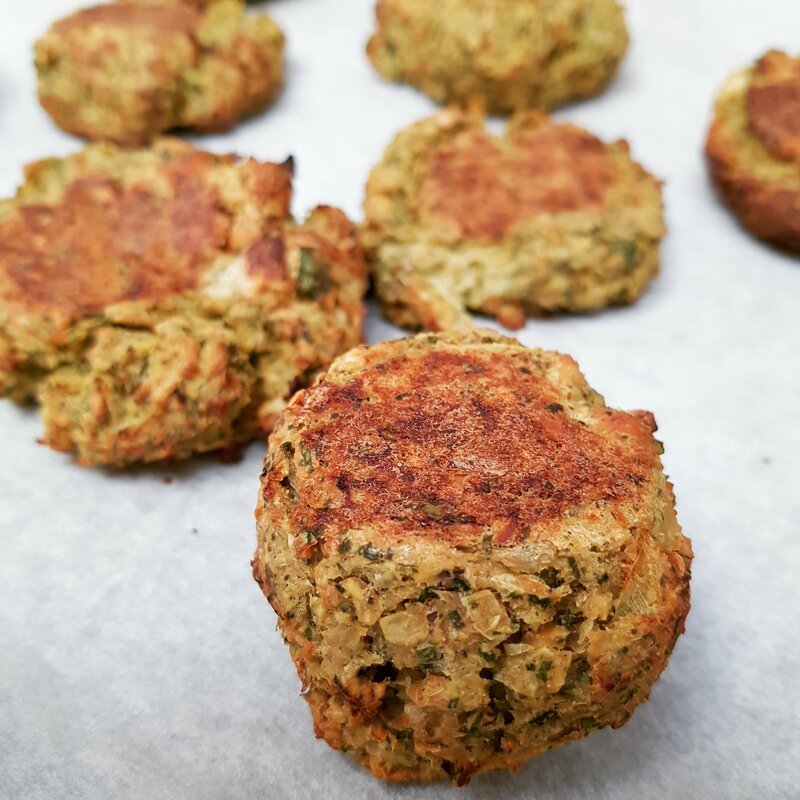 Finally a falafel recipe that is fluffy! Great in wraps or on a salad. Place all ingredients in a food processor and process until they are no big chunks. Scoop processed ingredients and roll into balls (I find using an ice-cream scoop helpful. Place balls on a baking tray lined with baking paper. Bake in a 190C oven for 10 minutes. Then turn balls over and bake for another 10 minutes. This is a healthier version of what is originally a sweet and greasy American-Chinese chicken dish. So delicious! Mix all ingredients for the sauce together in a separate bowl. Reserve a small amount of the red onions to use as garnish. In a hot pan, sautee the onion and garlic in 2 tablespoons of water until onion is softened. Add marinated chick peas and vegetables and stir for half a minute. Add sauce and stir periodically and add cashews in the last minute. Serve with rice and garnish with raw red onions. 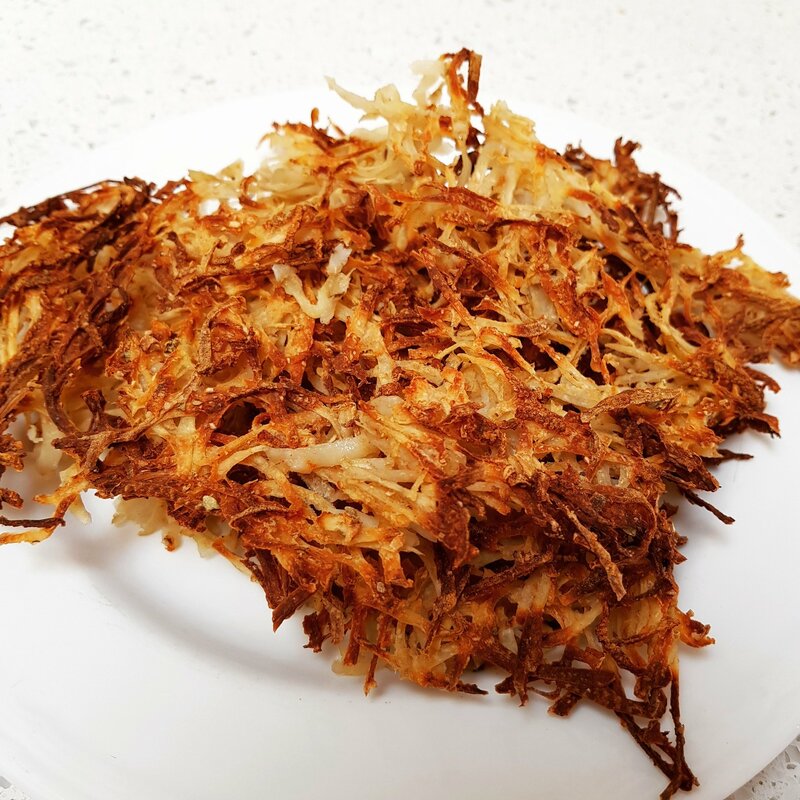 Holy Moly these no oil hashbrowns took a while to perfect. There has been a few tears over sticky frying pans and gloopy potatoes. All worth it to get to these crispy and crunchy, no oil morsels. Put grated potatoes in a tea towel. Wrap tea towel around the potatoes into a sack and squeeze the tea towel to squeeze out excess juice from potatoes. Toss potatoes in a large bowl with seasoning to separate the pieces. Spread potatoes on a silicone tray. The silicone tray is important for it not to stick. Spread the potatoes to allow as much air to move through the potatoes as possible. Place in pre-heated oven of 150C. Start checking the potatoes from the 15 minutes mark and remove the potatoes from the oven until the potatoes are brown and crispy.